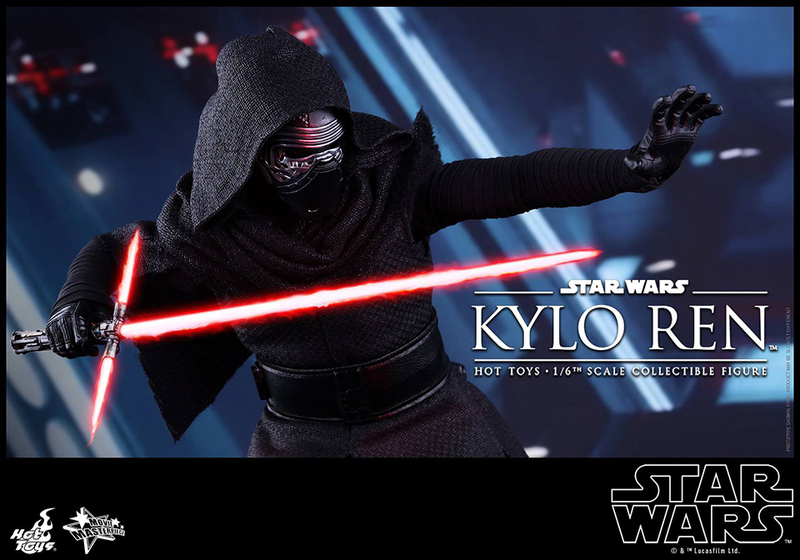 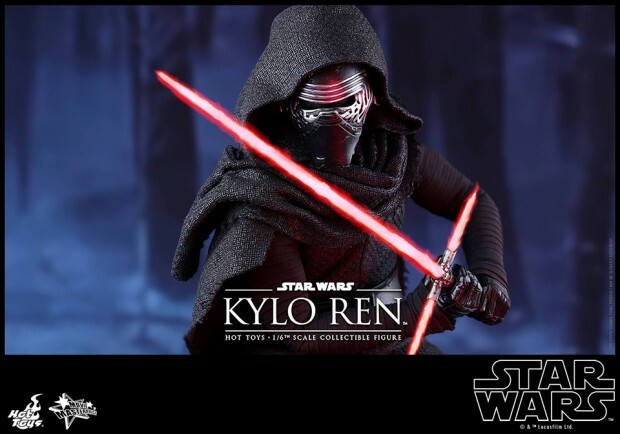 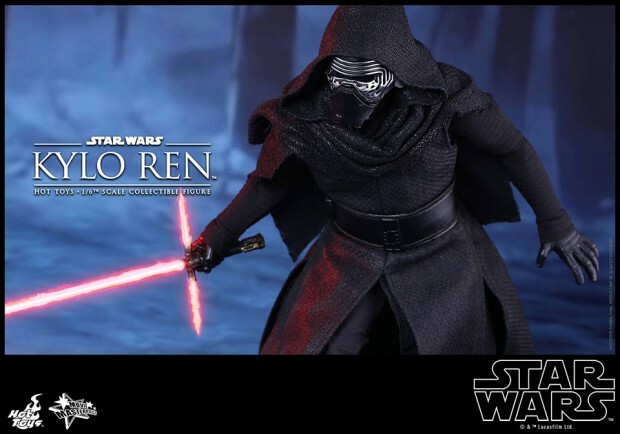 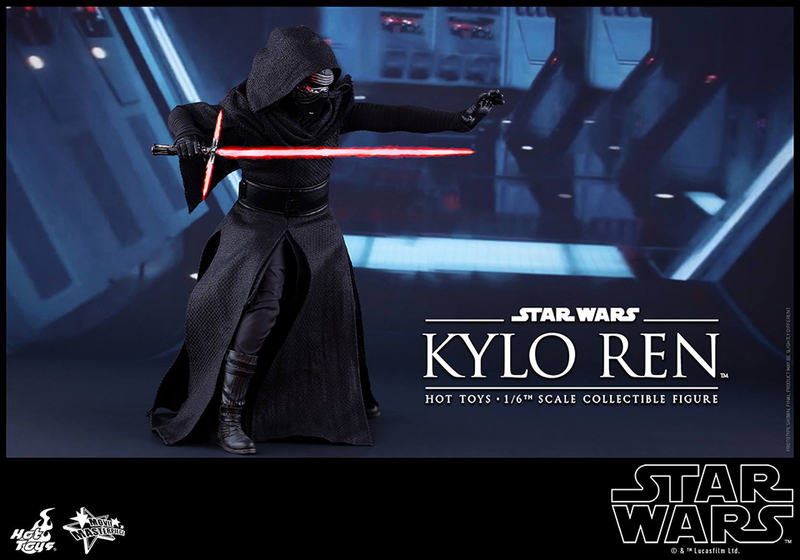 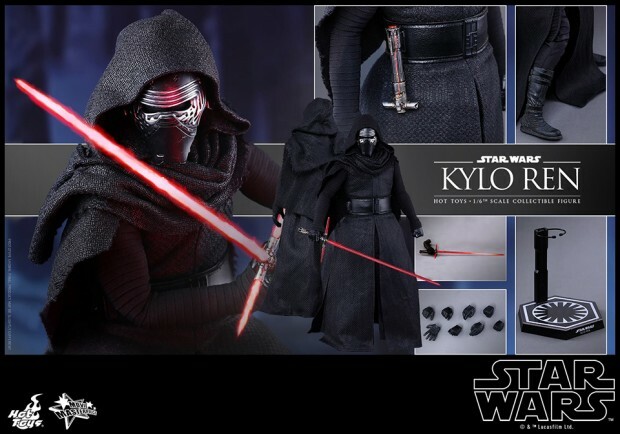 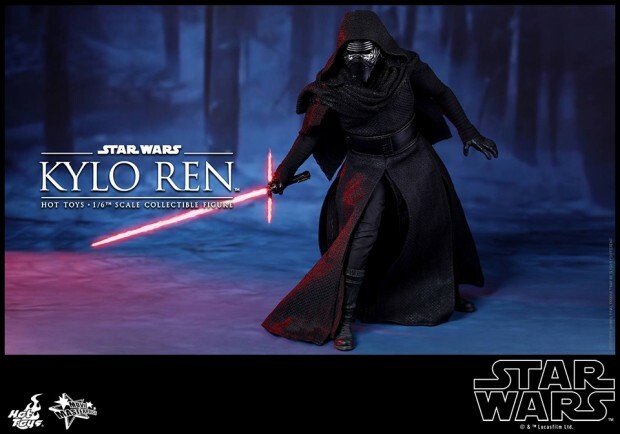 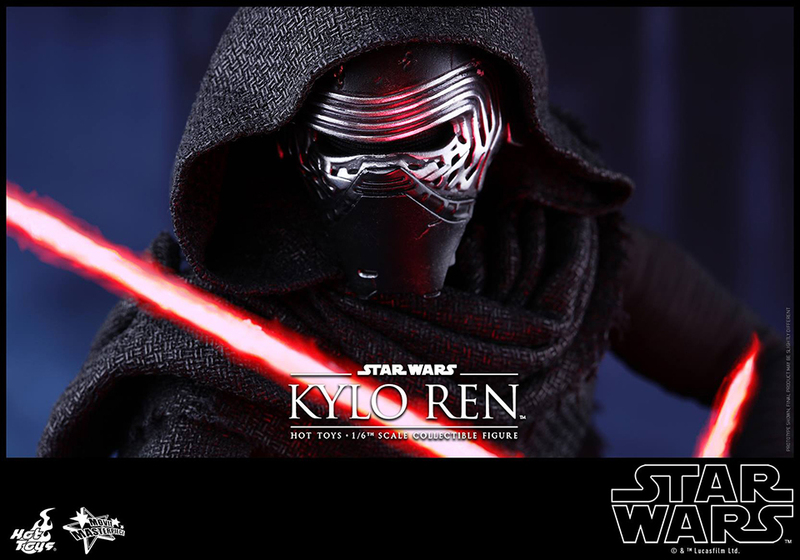 Star Wars: The Force Awakens’ antagonist and reckless lightsaber builder Kylo Ren gets the Hot Toys treatment alongside the First Order’s Stormtrooper and Heavy Gunner Stormtrooper. 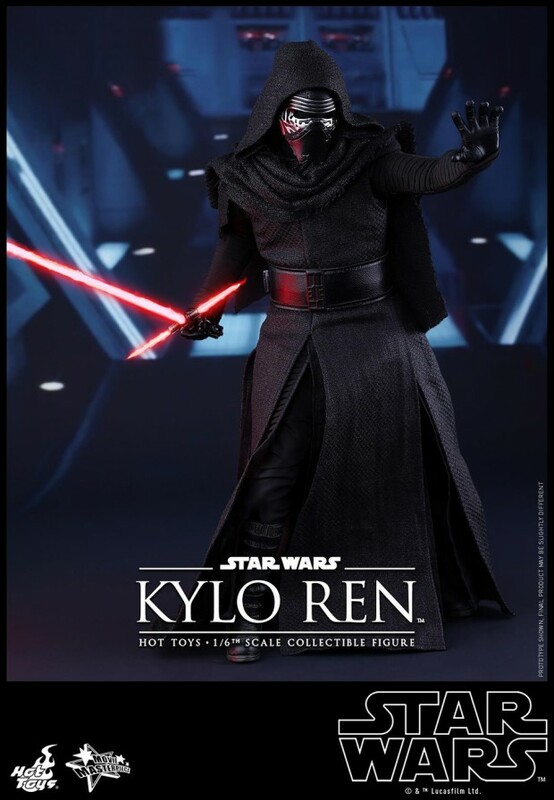 His action figure is nearly 13″ tall with over 30 points of articulation and comes with 8 hands, an LED light up lightsaber and a separate lightsaber hilt. 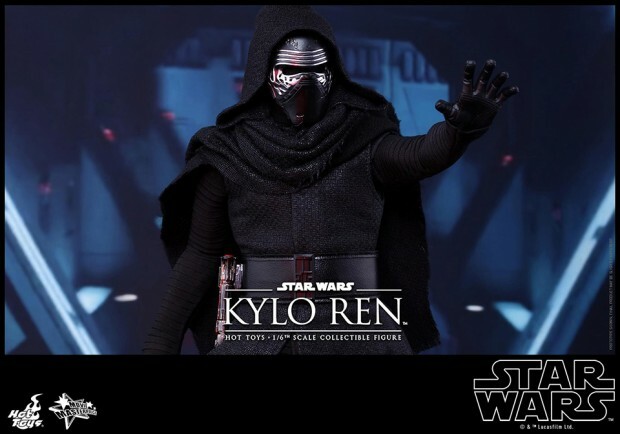 Maybe it’s because Disney doesn’t want to reveal everything about the character’s appearance at this time, but based on these images Kylo Ren’s design isn’t that interesting to me. 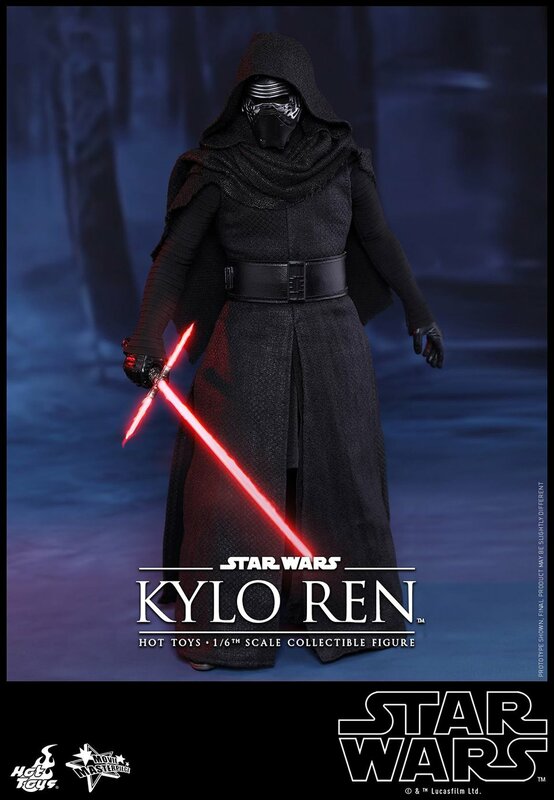 Then again Jedi robes aren’t that memorable either. Whatever the case I’m sure this will still sell like crazy. 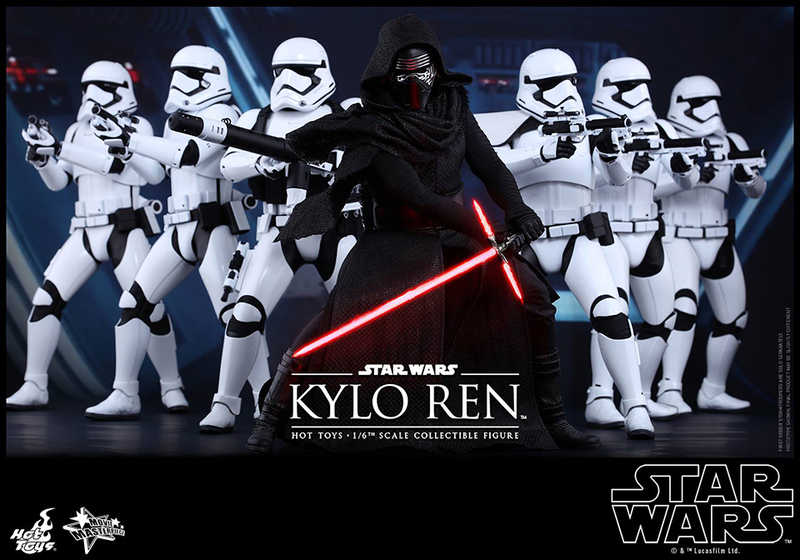 It’s on BigBadToyStore for $225 (USD); both stormtroopers are on the store as well.